Complaints about iTunes have never stopped since its initial release and will continue if Apple has no intention of making some changes. Owing to various stubborn iTunes errors, particularly more in Windows, more and more people prefer to switch to an alternative to manage and transfer iOS files. More than an iTunes Alternative, WinX MediaTrans Gives Users What iTunes Lacks. If you’re on the hunt for such a tool, you might as well take a few minutes to verify WinX MediaTrans vs iTunes. With interface and operation tailored for Windows, it processes many advanced features and enables iPhone management on PC as simple as copy-and-paste. Instead of downloading a trial version for evaluation, you have a FREE chance to get a full version of WinX MediaTrans. Thus, you will have a profound experience of how it can help you master files on iPhone/iPad/iPod in a way that Windows users are used to doing. Please go to this Full License giveaway page, scroll down and click the tab “WinX MediaTrans” Giveaway. Follow the prompts to get the Code. 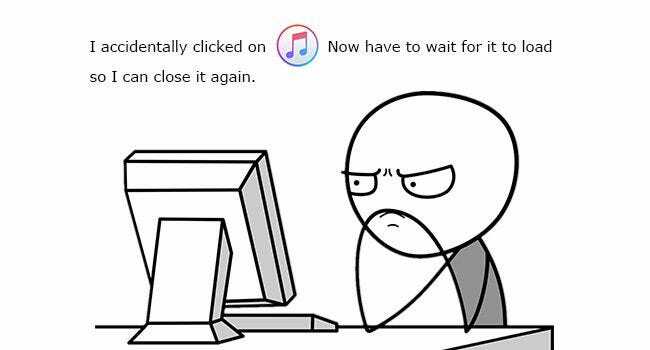 You will also easily discover some funny Meme about “Stuck iTunes” on that page. The Meme and stories are uploaded by real iTunes users. If you have any interesting pictures, you may create and submit your memes. The producer behind WinX MediaTrans will choose 20 weekly winners and 1 Meme King. Prize will be $1200 Paypal cash. Check the details of the Meme King contest. As an iTunes alternative, WinX MediaTrans can do many things that iTunes can do, in a much simpler and more intuitive manner, such as exporting photos from computer to iPhone, syncing music, organizing songs, and making iPhone ringtones. Plus, it provides quite a lot unique and useful features that iTunes and some substitutes lack. The media files you purchase from iTunes Store could be in M4P/M4B/M4V format, which means that it’s impossible to play them on non-Apple devices and unauthorized gadgets unless DRM is unlocked. Fortunately, WinX MediaTrans can do this job without hassle (see how it works). Only several simple steps later, you should get DRM-free MP4 iTunes movies and MP3 iTunes music and audio books for playback on nearly all devices. Certainly, illegal use is never allowed. This iTunes alternative gives you the freedom to transfer photos, music, videos, e-books, iTunes U, podcasts and more from iPhone to PC and vice versa. By contrast, iTunes doesn’t support transferring some files in both directions. For example, it allows you to transfer photos from PC to iPhone, but disallows you to get photos off iPhone to PC. It’s possible to sync music from third-party websites from PC to iPhone via iTunes, but playback error may occur on your iOS device. Since WinX MediaTrans transfers non-iTunes music from PC to iPhone relying on USB cable only instead of Apple ID, it won’t cause any playback issues after syncing. Even if the original audio format isn’t supported by iPhone, this program will make it playable utilizing its inbuilt auto-convert option. No matter what operation you want to perform, import or export, WinX MediaTrans permits you to choose single, multiple or all files at will. But this is different in iTunes. Take music sync as an example. It is available to sync music by selected playlists, artists, genres and albums. But if you want to sync a single one, you are supposed to go to library, choose target item, and then drag and drop it into your device. That’s really inconvenient. Nowadays, the storage of iPhone becomes larger and larger. If your USB flash drive isn’t around, why not use iPhone as an alternative in an emergency? You can directly drag and drop all kinds of file types, such as Word, Power Point, Excel, PDF and application installation package, into your large-capacity iPhone. Files downloaded online or from other sources could be in any format, while iPhone accepts limited file formats. That’s not a big deal. WinX MediaTrans will convert incompatible video formats to MP4 and audio formats to MP3 or AAC automatically during the process of PC to iPhone transfer. With advanced hardware acceleration technology applied, conversion will be finished at a lightning speed. One more thing, videos in vertical mode will be modified to horizontal for better viewing experience on iPhone. iTunes often leads to data loss during sync, while WinX MediaTrans will never erase data on your computer or iPhone while importing and exporting. You can back up your iPhone data to multiple computers without affecting each other. iTunes sync slow is another age-old iTunes error. Many users said that they experienced hours of sync, because of iTunes’ complicated and buggy procedure. Instead, WinX MediaTrans features super fast transfer speed, capable of finishing 100 4K photos transfer within 8 seconds and 1GB video in 1 minute only. Read more about WinX MediaTrans vs iTunes. Or take the chance to get WinX MediaTrans for free.